Whether it connects to a PBX or to an IVR platform, SpeechAttendant allows callers to speak the name of a person, department, service, or location and be automatically transferred to the requested party without the hassle of searching for phone numbers or waiting to speak to an operator. With SpeechAttendant organizations can route callers through menu-driven options and provide frequently requested information such as operating hours, mailing address, and driving directions to callers. By offering your callers the convenience and ease of use of a speech-enabled auto attendant system, your organization will reap the benefits of decreased telecommunications costs, increased employee productivity, and an enhanced corporate image. Internally the voice recognition software will allow employees, via voice command, to connect directly to other employees within your organization, thus bypassing front-desk staff and freeing them to better manage incoming public calls. Remote employees can connect directly to colleagues simply by saying their colleague&apos;s name, without having to know extensions. Managers can create call priority levels and define rules to escalate emergency calls. Enable callers to 'say' the reason for their call, and immediately be transferred to the appropriate customer service skill set or department. Decrease your telecommunications costs efficiently route callers to their destination with the most accurate and natural speech-enabled auto attendant available in the market today. Boost employee productivity provide single-number access to employees (office and alternate numbers), remote offices, departments, and more. 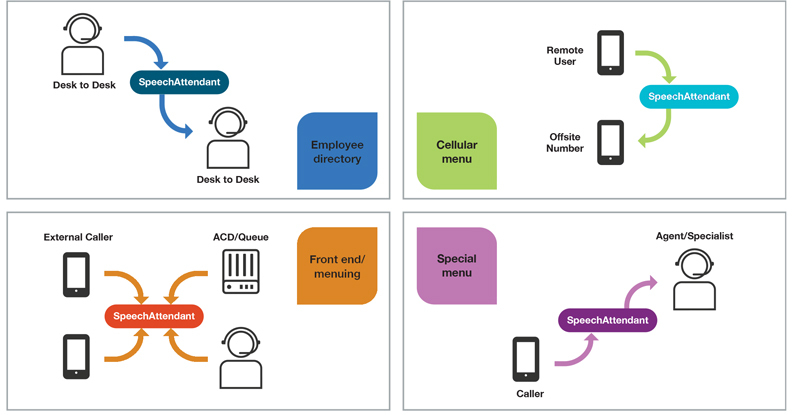 Quickly implement your speech-enabled auto attendant solution, usually within a few days, thanks to Nuance's innovative product design and structured implementation approach. Easily maintain your auto attendant system using extensive tools for monitoring and analyzing system performance, as well its corporate directory interface module and over two million pretuned names that make moves, additions, and changes fast and simple. Gain peace of mind when it comes to service by choosing Nuance's complete, turnkey solution, the only auto attendant solution manufactured by a speech company. Experience the SpeechAttendant solution for yourself. See and hear the benefits live. This document provides the availability status, support status, and transition dates for Nuance SpeechAttendant. “On or After” indicates an earliest possible transition date when a specific date has not yet been established. 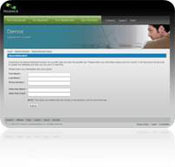 Nuance product availability and support policy, including relevant terms, are defined in the governing license agreement. Exceptions to this policy, including the availability or support stated herein, must be granted in writing by Nuance via Diagenix. What are the most common types of IVR application modifications performed by your organization for clients? Why start with a packaged voice application rather than using a custom-developed application?